A young bride's affair sets her on a homicidal path. Anyone who falls asleep at the mention of Shakespeare can rest easy. 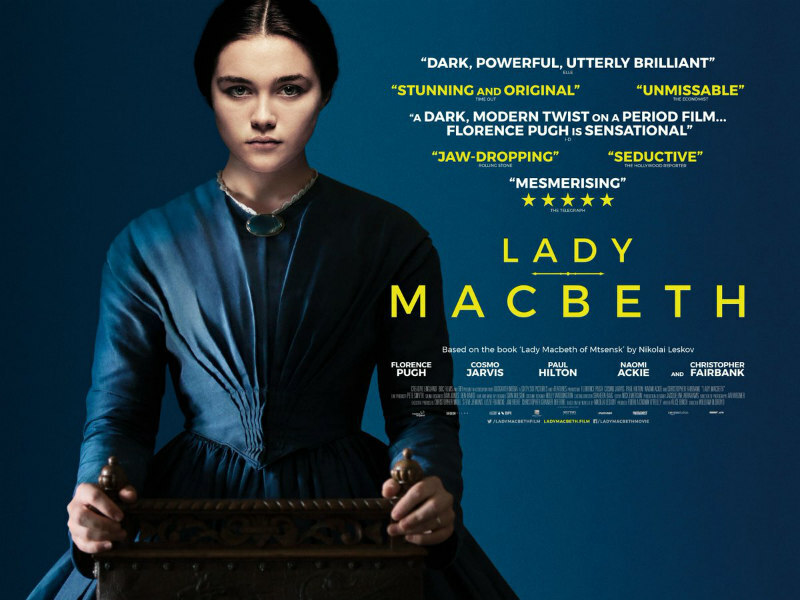 Director William Oldroyd's Lady Macbeth doesn't feature Marion Cotillard mumbling her way through the bard's text; rather it's an adaptation of a 19th century Russian novella, Lady Macbeth of the Mtsensk District by Nikolai Leskov. Those who find period dramas a surefire cure for insomnia will also have their fears allayed. This is about as modern a take on the genre as you could imagine, the latest in a line of costume dramas - Mr Turner, Love & Friendship, A Quiet Passion - to breathe new life into a strand of cinema that rarely produces thrilling results. It may be set in the 19th century, but Oldroyd's film is as much influenced by mid 20th century film noir as classic literature. If Andrea Arnold's Wuthering Heights enjoyed a romp in the hay with John M Stahl's Technicolor thriller Leave Her to Heaven, the resulting lovechild would probably resemble Lady Macbeth. The Gene Tierney figure here is Katherine (a deliciously villainous Florence Pugh), the new teenage bride of Alexander (Paul Hilton), son of local mining magnate Boris (Christopher Fairbank). Alexander however seems unwilling to lay hands on his new bride, ordering her to strip and face the wall as he masturbates. As Oldroyd's camera lingers on Katherine's face, a smirk crosses her lips, and the intrigue of this character begins. When her husband and father-in-law leave their estate on a business trip, Katherine is left alone with the serving staff, and embarks on a steamy affair with the hunky mixed-race groomsman, Sebastian (Cosmo Jarvis). Katherine isn't exactly subtle about her cheating, and it doesn't take long before the entire downstairs staff is aware of her actions, much to the chagrin of her personal maid Anna (Naomi Ackie), who knows she'll be the one punished for her white mistress's indiscretions. 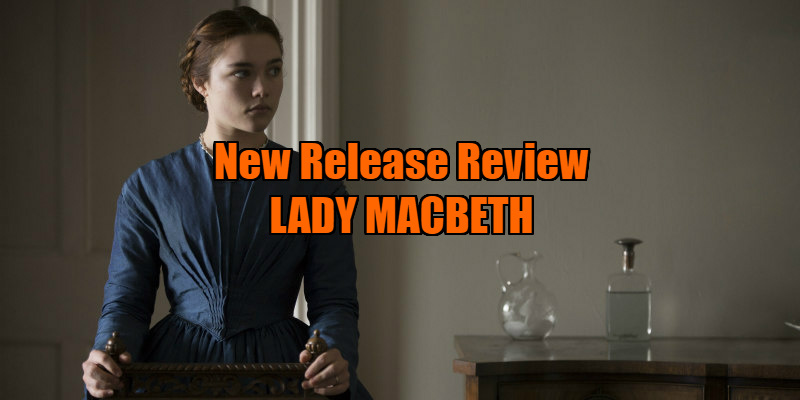 In its relatively brisk 90 minutes, Lady Macbeth packs in a complex study of gender, class and racial politics, and the difficulties of having all three satisfyingly intersect. At first we find ourselves rooting for Katherine as she strikes back against the patriarchy, but the film soon reminds us that such rebellion is often a privilege of the rich and the white. As the narrative progresses and Katherine's actions evolve from mere infidelity to cold-blooded murder, it becomes apparent that the working class people of colour in her employ are the ones most in danger. Ackie's Anna is the most fascinating of Lady Macbeth's roster of characters, a wonderfully complex rebuke to Samuel L Jackson's one note 'Uncle Tom' of Tarantino's Django Unchained. The actress is a standout among a very accomplished cast of new faces, imbuing Anna with a tangible fear of repercussion. Rendered mute by the trauma of witnessing one of Katherine's murders, Anna spends most of the movie in silence, and it's a testament to Ackie's skill that she manages to communicate so much about her situation despite such a hindrance. We'll see few scenes in 2017 as tense as the one here in which Anna is forced to cover for the lack of wine in the cellar, having been swilled by Katherine and her lover. For an adaptation of a work of 19th century literature, Oldroyd's film is commendably light on dialogue, as the director spins his story in a cinematic fashion, all subtle gestures, wicked smiles and nervous frowns. This combined with the unique milieu of its Northern English industrial revolution 'new money' setting (the characters here are gruff and coarse, a million miles away from the polite, tea drinking home counties protagonists of most period dramas) gives the costume drama a jolt in the arm. More of this please! Lady Macbeth is in UK/ROI cinemas April 28th.